Natural oils and botanical ingredients are in almost all our favorite products these days, from face wash to shampoo. But what do these oils do? Which botanicals should you choose and why? More importantly, what can you tell your clients about these ingredients? When planning your retail stock, what products can you stand behind as effective and worth the cost? Here is a rundown of some of the best ingredients and the products that contain these ingredients. All the products listed are from our reputable manufacturers and are products that we can easily recommend. Your client’s skin will now be in great shape for waxing. The very popular Lycojet Lavender Hard Wax ($34.95, 2.2lbs) or Harley Lavender Hard Wax ($29.95, 2.4lbs) and finish with Lycon Perfect Finish ($17.95) will ensure that your client has a pleasant experience with satisfying results! When bacteria get trapped under the skin, inside a pore, the skin’s defense system kicks in. Encircling the bacteria, white blood cells fight the bacteria at a cellular level. Localized inflammation is the first reaction to the war. As they kill off the bacteria, the dead cells collect inside the pore, resulting in a breakout. Tea tree oil helps zap that bacteria. 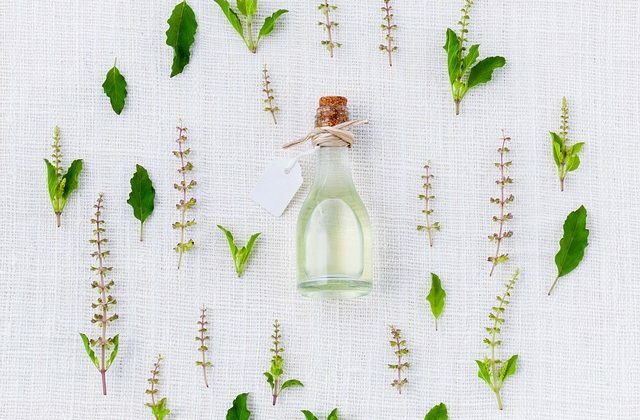 A study found that tea tree oil was as effective as benzoyl peroxide, according to an Everyday Health article. You will find effective amounts of Tea Tree Oil In Lycon’s Anti Bump Foaming Gel, ($13.95) a great retail product for you to keep on the shelves for your clients. After the shower, your clients may want an everyday moisturizer that helps fight inflammation while soothing the skin. We recommend Mancine Tea Tree Body Lotion and Lycon Tea Tree Soothe Lotion. Chamomile is more than a tea that soothes your little one’s upset tummy, or encourages relaxation and sleep. The anti-inflammatory and antiseptic properties helps prevent irritation from wax treatments. This oil is added to waxes to provide that calming touch for clients prone to redness or skin irritation. Try Lycon Soothing Cream ($17.95) with Chamomile, Rose and Shea Butter for a soothing experience! Vitamin A is necessary and helpful in rejuvenating skin cells. Age spots, scars and stretch marks can be lessened by using a retinol (containing vitamin A) based product. An easy way to help overall skin condition is to use a bodywash or body lotion with Rosehip oil, which is naturally rich in in Vitamin A. Here is a tip from our friends at Everyday Health- Got thin or brittle nails? Use a little olive or avocado oil on them before bed. The oils will soak in overnight and nourish with good-for-you fatty acids. Or, you might like to keep ‘on hand’ (excuse the pun,) our Renew and Repair Cuticle Oil by en Vogue. A blend of sunflower, grape seed, jojoba and Vitamin E oils along with essential oils of bergamot, black pepper, Roman chamomile, eucalyptus and lavender. ($2.95 for 3ml. Larger sizes available.) Send some home with your client as a little gift- a sure way to increase repeat customers! Additionally, rich oils like avacado and olive are used to re-condition skin after a waxing treatment. Since waxing removes all the surface oils and exfoliates the skin, moisture needs to be replenished afterwards. Mancine Olive Oil Strip or Hard Wax contains olive oil to soothe and replenish the skin. These waxes are especially perfect for sensitive areas. You can share this helpful tip with your clients- a product advertised as “natural’ or claiming to have certain natural ingredients, may contain too little of the substance listed to be fully effective. Many over-the-counter products that claim to contain Vitamin C or E will not have a high enough concentration of these antioxidants to prove effective at reducing wrinkles or sagging skin. For the best results, look for products that a dermatologist carries or recommends as effective. Shop with Vogue Beauty for professional products designed to help your business thrive!